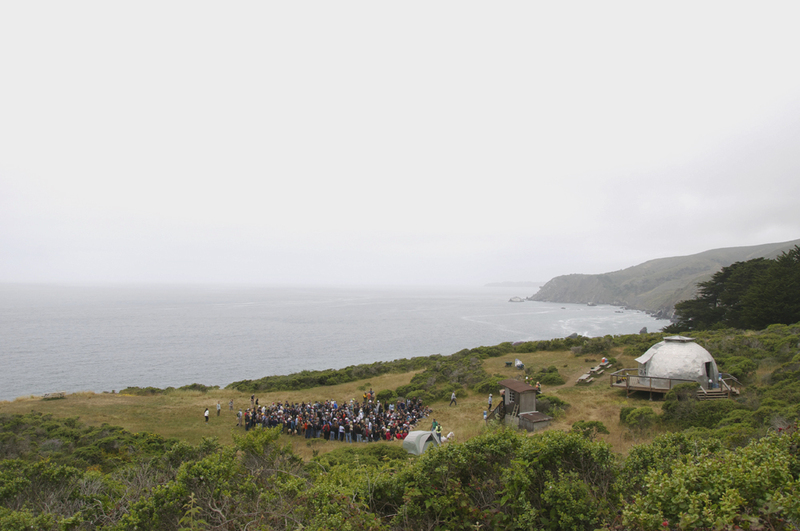 It was lightly foggy at 9 o'clock in the morning on Wednesday, June 11, when tens of cyclists, scores of cars, and a fleet of buses started to roll in to the parking lot at Slide Ranch. Out poured 350 eager, smiling faces that were greeted by equally excited staff and Teachers-in-Residence from Slide Ranch. The Clif Bar & Company Companywide 2080 Day had begun. 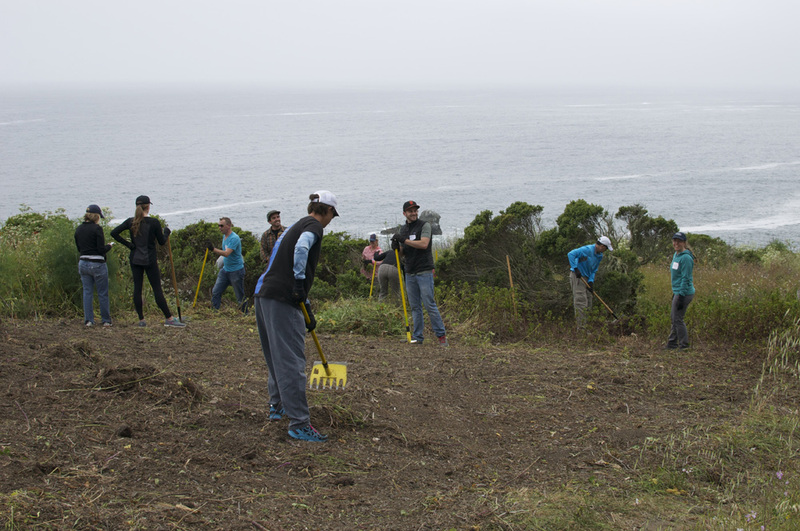 Project 2080 is Clif Bar's employee volunteer program. They launched the program in 2001 and began by giving back 2080 hours – the equivalent to the hours one full-time person works in a year. The Companywide 2080 Day is part of Project 2080. 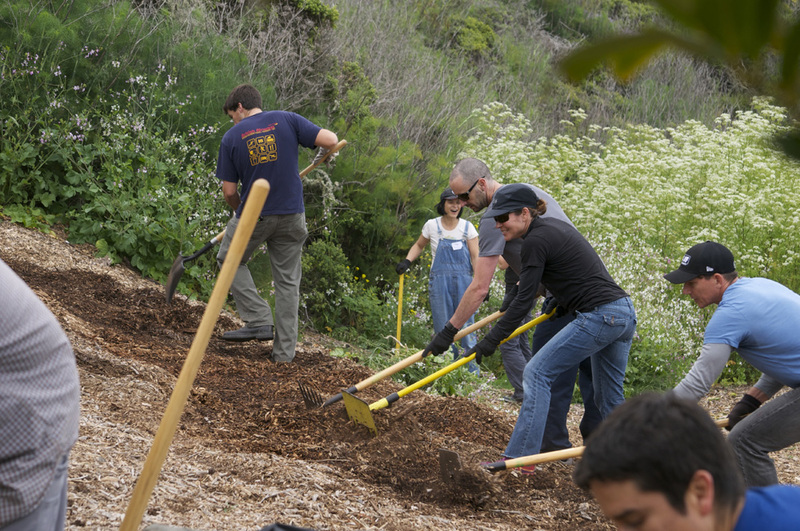 This is one day where all Clif Bar employees go out to give back on the same day, in one location, with an aim to inspire their employees to continue giving back throughout the year by creating an impactful, memorable and well-organized volunteering experience. Clif Bar employees now give back over 10,000 hours annually and a sizable chunk of that time was about to be generously donated to Slide Ranch. The morning flew by for everyone and a massive amount of work had already been achieved in just two short hours. Before we knew it, it was time for lunch. Catering was provided by The Lunch Box, who brought much needed sustenance for our eager volunteers. 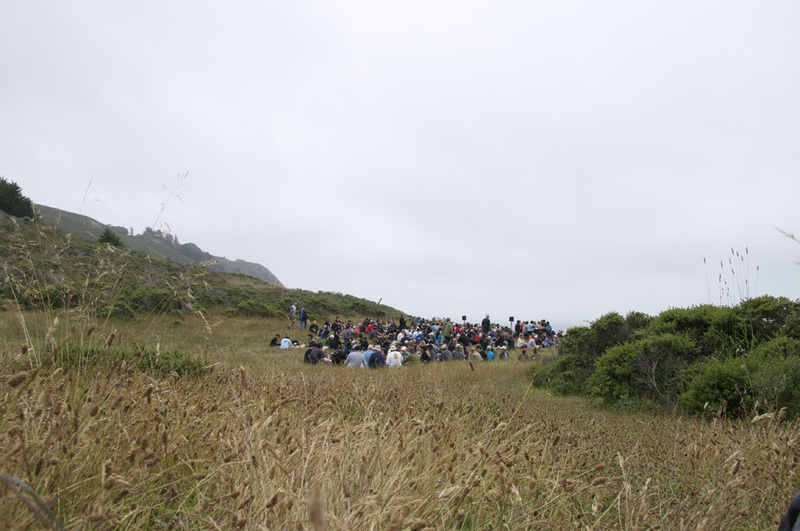 With bagged lunch in hand, everyone took a short hike to our coastal meadow campground where they took a well-needed break and heard from Slide Ranch's Executive Director, Marika Bergsund and Board Chair, Suzette Clarke. There was just time to fit in a wonderful companywide photo before making the short trip back to start the afternoon shift. 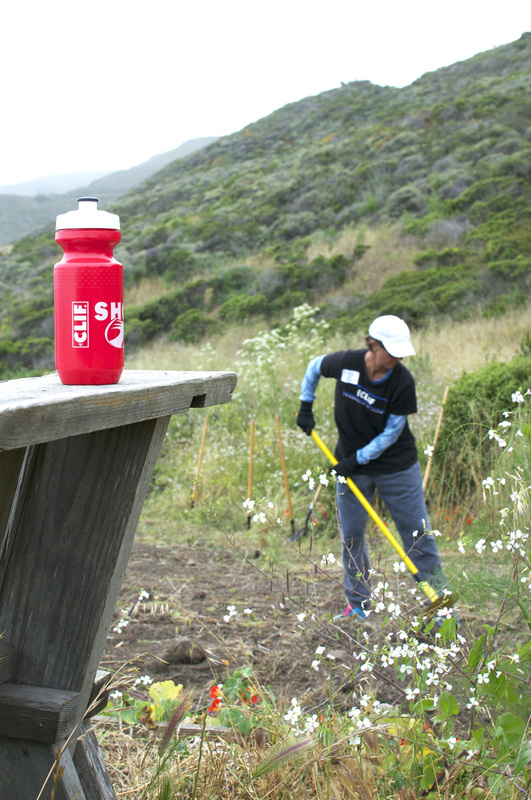 Clif Bar's enthusiastic employees wasted no time and immediately got back to work painting, digging, weeding, cutting, sawing, hammering, cleaning, clearing and more. By 3:00pm, Slide Ranch had undergone a mini makeover. New foot bridges were laid, trails cleared, invasive species removed, garden beds built, new signs painted and installed, pathways cleared, event materials crafted, photos filed, houses weatherproofed, new fences erected, and a massive amount of mulch dispersed throughout the ranch (which made the place smell great!). There was just time to squeeze in a well-deserved ice pop by Pop Nation before we all said our thank you’s and farewells. Needless to say, it was a wonderful day for all involved and significantly helped Slide Ranch complete many important improvement projects. 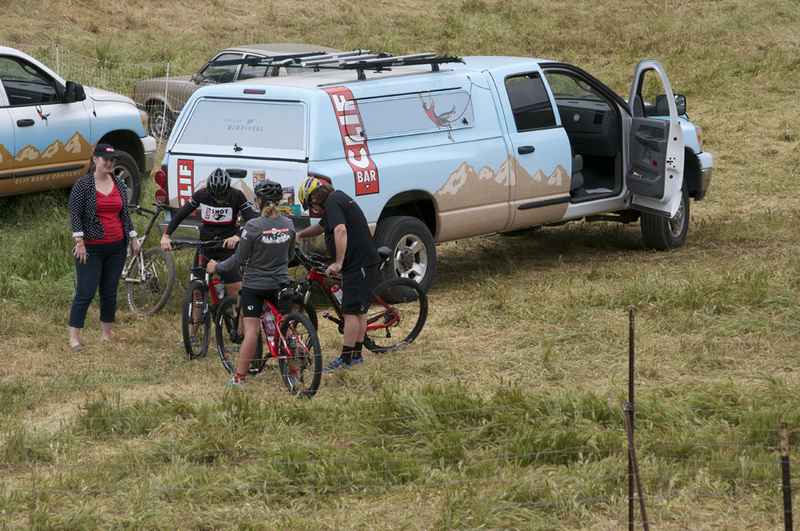 The amount of work the Clif Bar employees managed to achieve in one day was estimated to be equivalent to three people's full-time jobs at Slide Ranch - amazing stuff. 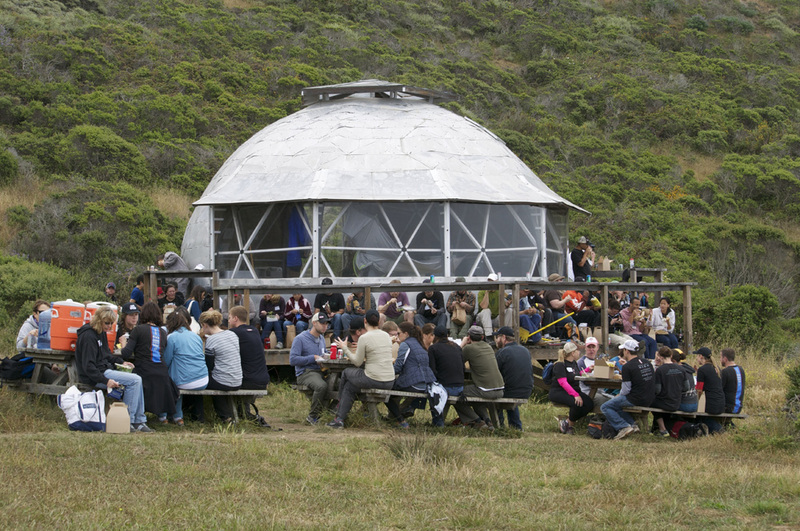 We genuinely hope everyone at Clif Bar enjoyed the day as much as we did - you were remarkable! Special thanks also goes to V-O-CAL Special thanks also goes to V-O-CAL who organized the logistics as it related to the day’s work projects and worked closely with the team at Slide Ranch to identify and coordinate all of the projects. 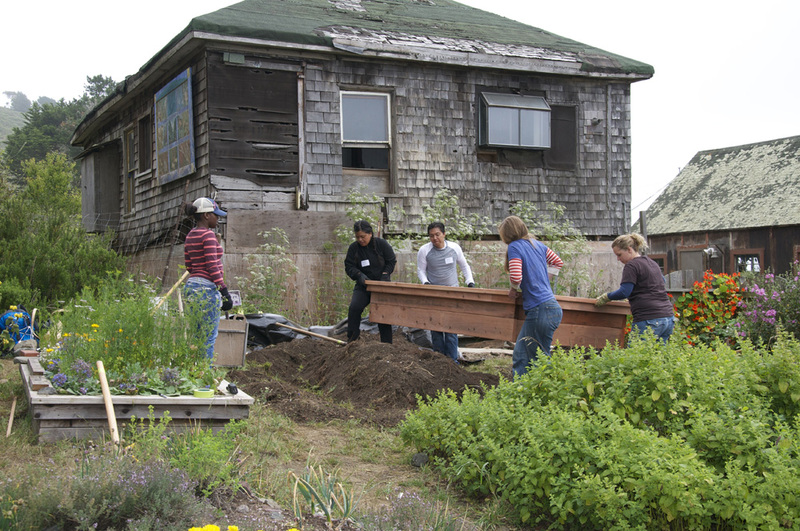 In addition, we must give a big shout out to Green Mary whose goal is to create zero waste events by composting and recycling as much as possible. 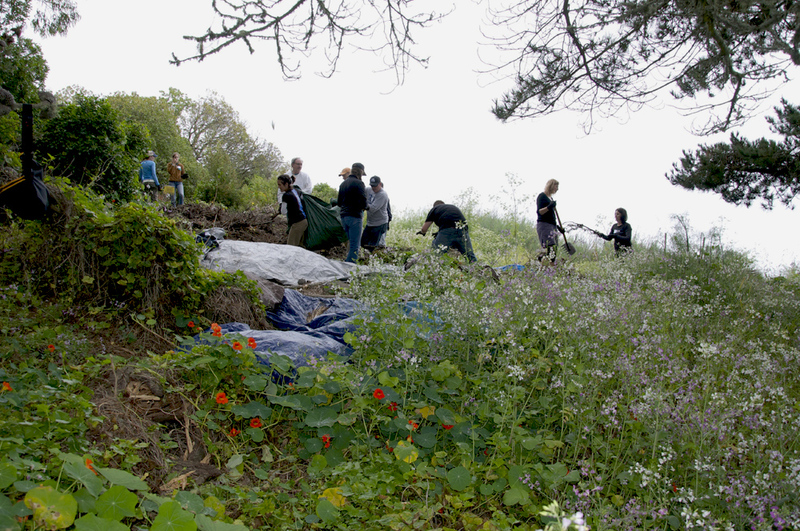 Green Mary boasts diversion rates of over 90% and helped make this volunteer day clean and green! 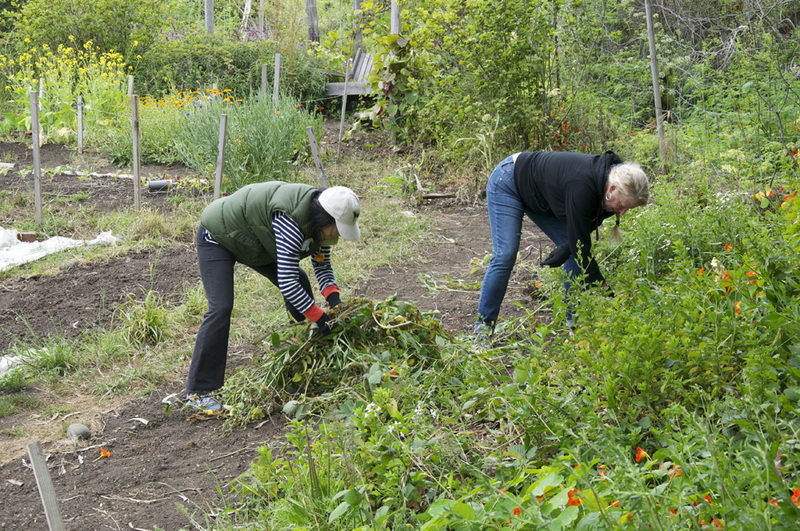 What started as a one-women mission has grown into a company with 100 seasonal employees, providing waste diversion for over 100 events a year. 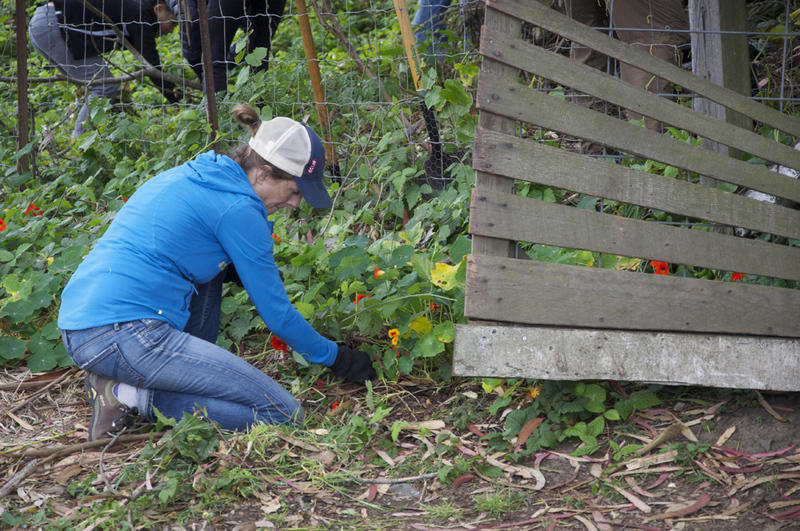 The Clif Bar & Company Companywide 2080 Volunteer day was definitely a highlight of a relationship that has been evolving with Slide Ranch over the last several years. Slide Ranch has been privileged to work with a variety of volunteers from Clif Bar in that time: Clif Bar Interactive Manager, Wendy Mayo, brought twelve volunteers in July 2013; Nikki Ferenz, Marketing Coordinator, brought twelve volunteers in December 2013; and a group of 40 Clif Bar athletes and volunteers participated in the Clif Bar Athlete Summit/Relay Race which included a stop at Slide Ranch where the athletes raced with compost filled wheelbarrows! 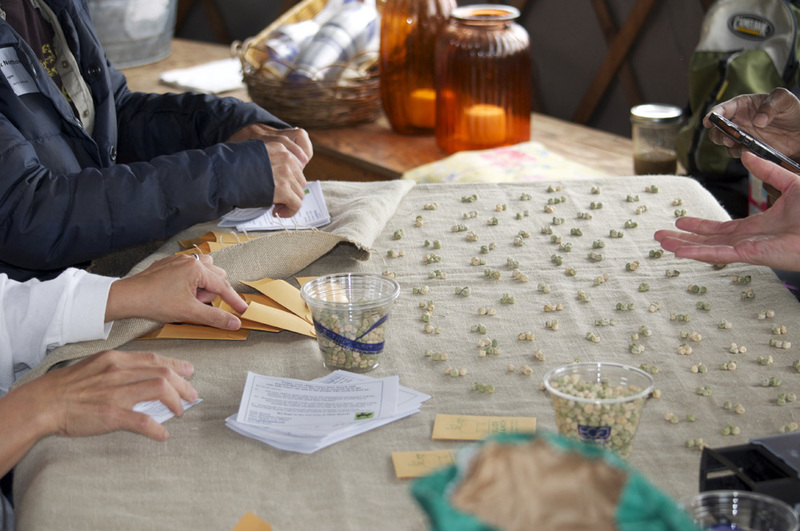 Slide Ranch has also gratefully received a number grants from the Clif Bar Family Foundation to support our educational programs for low-income youth from the East Bay (where Clif Bar is based). In addition, Clif Bar also provided funding to cover all the expenses for the projects conducted by the volunteers on the Companywide 2080 Day. Through the leadership of founders and owners Gary Erickson and Kit Crawford Clif Bar has been a trailblazer in sustainable business practices. They are a private, family and employee-owned company guided by five “bottom lines” or what they call their Five Aspirations: "Sustaining our Business, Brands, People, Community and the Planet." Slide Ranch prides itself on living by these same principles daily - the natural synergy between the two organizations is what made the Clif Bar & Company Companywide 2080 Day even more meaningful and special. With thousands of calories were burned, new friendships formed, many memories made and 3 years worth of work achieved in just one day, we hope there will be many more great times like this to come for Clif Bar and Slide Ranch. Thank you Clif Bar and everyone involved. We hope to see you all at Slide Ranch soon!